One of the recipes that we make the most around here is our Mac & Not Cheese. What can I say? Sometimes nothing in the world sounds better than a huge bowl of mac & cheese (even when there's actually no cheese in it!) 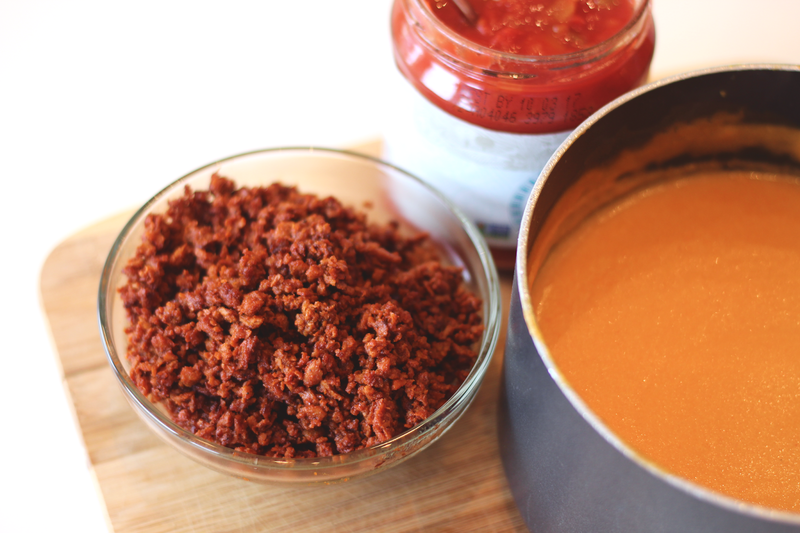 The vegan cheese sauce is the nectar of the gods - we've even used it in our vegan loaded nachos and we're using it again today in this cheesy chorizo dip! 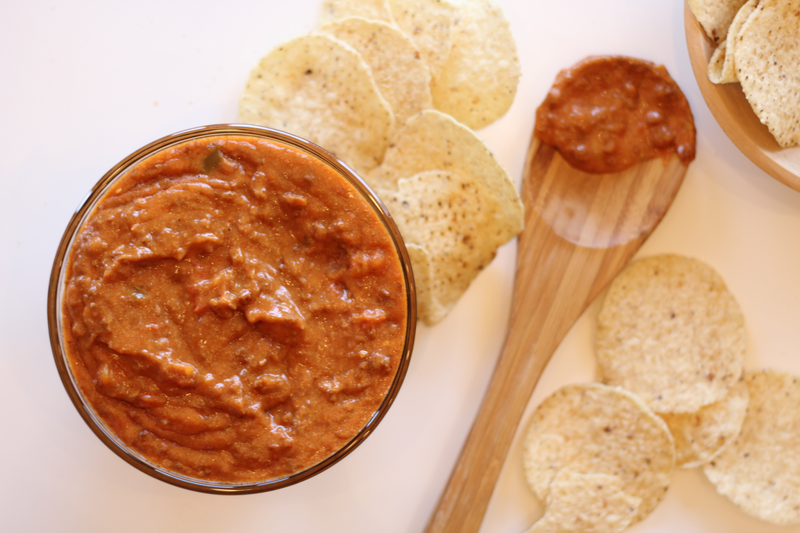 This simple recipe combines vegan cheese sauce, soy chorizo, and salsa into a fantastically delicious party dip, perfect for your next game-day. 1. In a large pot over low heat, melt your vegan butter. Once melted, add flour and whisk together to form a roux.2. Add nutritional yeast, almond milk, salt, tomato paste, and garlic powder. Bring to a boil, stirring frequently.3. Remove from heat. Stir in lemon juice and agave. Set aside.4. In a large pan, saute soy chorizo per package instructions.5. Combine cheese sauce, chorizo, and a jar of salsa in a large bowl and serve immediately with tortilla chips. 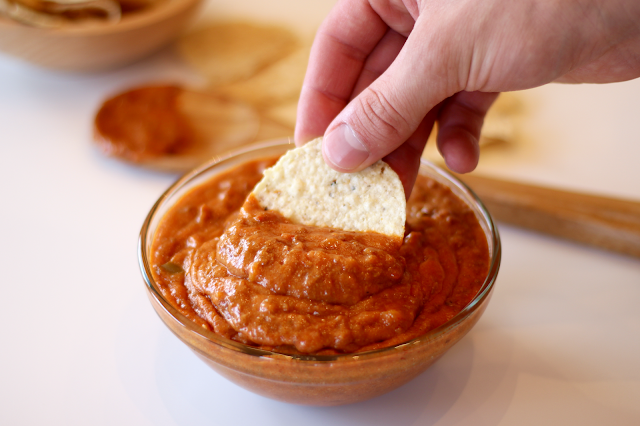 Or, add to a crock pot to keep warm and snack on all day. If you make it, let us know how delicious you think it is! 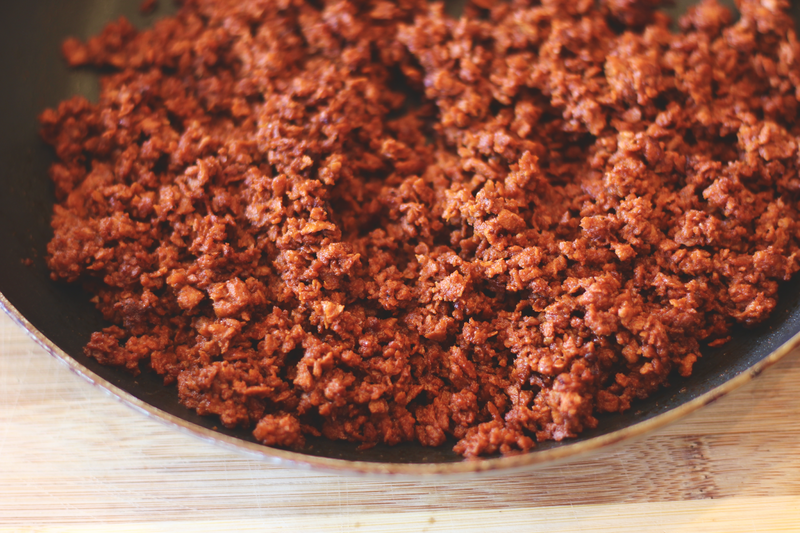 How did you know that I had some leftover soy chorizo and all of these ingredients just sitting around!? I'm making this tonight! Yay! You won't regret it - so good! I think we're going to whip up a batch for our housewarming drop-in this weekend. I hope you can still make it!